LNER A4 Pacific Locomotive "Sir Nigel Gresley"
© Solihull Model Railway Circle 2000-2015. Whilst every care has been taken in the preparation of this website the publisher, Solihull Model Railway Circle, cannot be held responsible for the accuracy of the information contained in the website, nor for any consequence arising from such information. The articles included and the views expressed on this website are those of the writers and do not necessarily reflect the views of Solihull Model Railway Circle or its members or advisors. 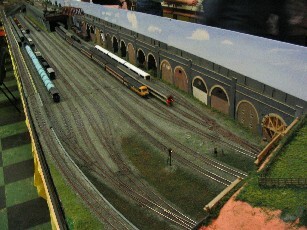 This website is intended to be a resource, but initially it is for promoting the Solihull Model Railway Circle.